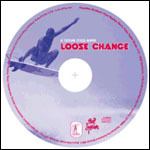 From the Surf Dog website: "The movie stars Kelly Slater, Shane Dorian, Rob Machado, Kalani Robb, Bruce Irons, Tim Curran, The Malloys, Taj Burrow, Conan Hayes, Benji Weatherly, Brad Gerlach and other young rippers in insane Indonesia, Backdoor Pipe, and Cali wave footage. 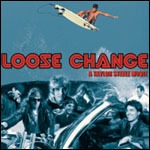 Like Taylor Steele�s last movie The Show, Loose Change features a comedy subplot that creates an alternative reality based on "What if the best surfers in the world didn�t surf?" The brilliant soundtrack bands contribute driving punk rock and other delights true to Taylor Steele�s style. Each surfer is showcased to an individual song that captures their true soul." Rocket was the headliner at the movie premier party at the Belly Up Tavern back in December of 99.